The Toronto International Film Festival Vanguard Blog: DEMON: What Is A Dybbuk? Marcin Wrona's Demon deals with the DYBBUK, something that finds its origin in Jewish folklore. According to the Jewish Virtual Library, a dybbuk (or dibbuk) is "an evil spirit which enters into a living person, cleaves to his soul, causes mental illness, talks through his mouth, and represents a separate and alien personality." That sounds frankly terrifying to me. Interestingly the term does not appear in Talmudic (central text of Rabbinic Judaism) literature or the Kabbalah, where it is only referred to as "evil spirit" or in the case of the New Testament, "unclean spirit." In fact, the term dibbuk only made its first appearance in the 17th century, being introduced into literature through the spoken language of German and Polish Jews. "He ain't heavy, he's my dybbuk." The manifestations of the dibbuk have evolved over time. Initially, they were considered to be devils or demons, which entered the host body of a sick individual. Later, they were explained as kind of restless spirits who became demons. They were generally considered to be souls, which, on account of the enormity of their sins, were not even allowed to transmigrate, and as "denuded spirits" they sought refuge in the bodies of living persons. The entry of a dibbuk into a person was a sign of his having committed a secret sin, which opened a door for the dibbuk. The word "dybbuk" is actually an abbreviation of a Hebrew phrase that means "a cleavage of an evil spirit." Therefore it's not just an evil spirit that enters the body, it is also one that binds itself to the person's soul, which is far more insidious and frightening. There are manuscripts that describe how to exorcise these evil spirits, much as there are in Christian texts. 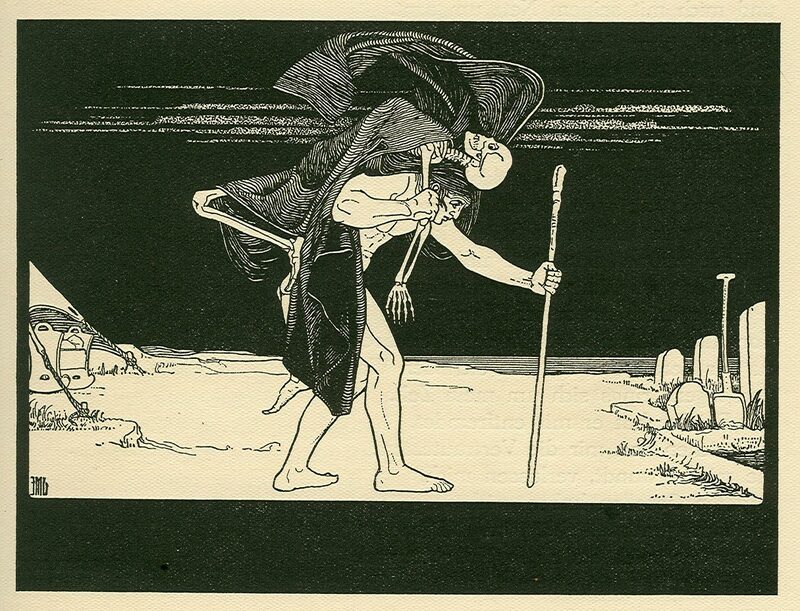 More modern beliefs ascribe the phenomenon of the dybbuk as a "hysterical syndrome," or a psychological ailment. Regardless of whether the dybbuk is an actual evil entity or a symptom of mental illness, it's a disturbing concept. How will Demon explore the concept of a dybbuk and how it manifests itself in modern society?